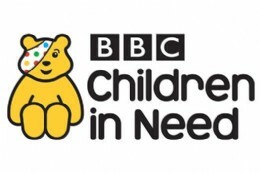 Are you raising money for BBC Children in Need? Or have another worthy cause? Contact us today! Climbing a mountain? Running a marathon? Sitting in a bathtub full of beans? If you have a charitable cause and you�re raising money send an image of your endeavours wearing our free BVAA hat for a chance to have �50.00 donated to your cause! So far, we have been able to donate to dozens of fantastic charities thanks to the hard work of all of the fundraisers out there who bravely tackled the elements, temperatures and their willpower to achieve amazing feats, and all in the name of philanthropy. Speaking of fundraising the Children in Need�s annual appearance is back and as always aims to break records (last year�s telethon raised �60.7m)! Here at the BVAA we have decided to try and beat our own personal best. Last year the BVAA raised �809 for children in need with the help of all of our members who attended last year�s Annual General Meeting and dinner dance. We ask everyone at this year�s event to help us break this record and collectively raise �1,000 for this worthy cause. If you�ve a charitable event planned,contact rob@bvaa.org.uk. The BVAA will donate �50 to your charity if your behatted photo is chosen for publication.